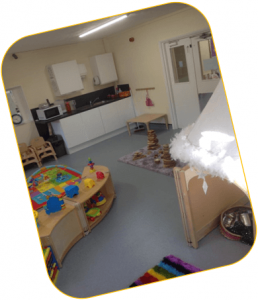 Our baby room cares for babies aged 6 weeks to 2 years in two separate rooms one for the younger babies and one for the older babies we provide a relaxed homely environment in order to ensure a smooth transition from home to setting. We have a separate sleep room that is connected to the room with cots, dim lighting, and soothing music to ensure that your Child has a good quality sleep and is safe. We also have quiet areas that are comfortable and inviting with lots of opportunities to snuggle in. The babies have their own outdoor area so that they are able to go outside for fresh air when the weather is suitable. To ensure that you and your baby are familiar with the nursery and the staff we provide free settling in sessions before your baby starts with us to help settle your baby into our setting and find out all the information we need from you to ensure we meet all your Childs needs as we pride ourselves in working well with parents and also we can guarantee that we will always follow your wishes and routine we will never try to fit your child in a nursery routine. Any achievements or milestones will be recorded and celebrated in your own Childs learning journey, this file stays with your child until they leave for school so you can see how they are progressing and also we encourage parents to add to this as well as the nursery, this file is free for you to see at any time . 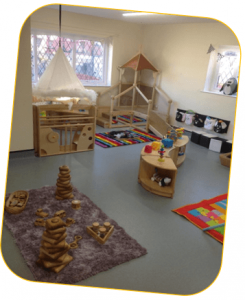 There are many experiences for your baby to explore with imaginative messy, sensory small world and physical areas which will keep your baby very busy indeed. 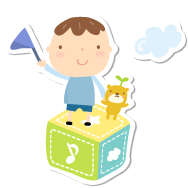 We participate in heuristic play which will increase your babies’ imagination and development. 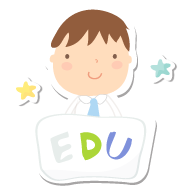 Our care will celebrate the fact that all children from birth need to develop whilst learning through interaction and exploration of the world around them. In the baby room, it is self-contained so the staff don’t need to leave the room they have a pre-designed kitchen where they can prepare bottles to your wishes and food where we will follow your babies routine. When the time approaches for introducing nursery foods into your babies diet we will talk to you about this and ensure we meet your wishes. Details of your babies diet, activities sleeps, nappies and just about anything else you will need to know about your babies day. Will be recorded in your Childs daily communication book which parents are encouraged to write in as well. Our baby room staff ratio is a minimum of one member of staff to three babies and a floater is on hand at all times to help with busy periods e.g. meal times.